Vitamin C does a lot of good things in the vaccinated individual. Few topics are as deeply embroiled in controversy with as diametrically opposed points of view as the extensive use of vaccinations in babies, children, and adults. The purpose of this brief article is not to discuss whether vaccinations are a good thing. Rather, the purpose is to give the person who feels a vaccination simply has to be taken a viable option for preventing any of the associated toxicity of that vaccination. Vitamin C is the ideal agent for this. Vaccinations present a toxic challenge to the individual being vaccinated. All of the negative effects of any given vaccination are mediated by the infliction of increased oxidative stress on the most susceptible areas of the body. In babies, the brain and nervous system is especially susceptible to any new toxin, and when this new toxin-induced oxidative stress is substantial and not promptly neutralized, any of a number of neurological impairments, including autism, can result. Even today, many vaccines still contain thimerosal, a mercury-containing preservative capable of inflicting substantial harm. Vitamin C is the optimal nonspecific antidote for all toxins and all oxidative stress. Vitamin C augments the antibody response of the body to the vaccination. At the same time the vitamin C is blocking or neutralizing the pro-oxidative side effects of the vaccination, it is also helping the vaccine optimize whatever antibody response might possibly be destined to result. If even the staunchest of vaccine advocates was fully aware of what vitamin C can do to neutralize toxicity while enhancing immune response, vitamin C would be a routine part of all vaccination protocols. First and foremost, anyone getting vaccinated or getting a child or baby vaccinated should make the treating doc fully aware of what is being done. If your doc gets visibly upset at hearing what you want to do without fully explaining to you why you should not do it, find another doc. For optimal antibody support and toxin neutralization, it would be good to dose the vitamin C for three to five days before the shot(s) and to continue the vitamin C for at least two to three days afterwards. When dealing with infants and very young children, a 1,000 mg dose of liposome-encapsulated vitamin C mixed into something like yogurt can work very well. If this form of vitamin C is not available, sodium ascorbate powder will work quite well. Infants under 10 pounds can take about 500 mg in fruit juice, and babies between 10 and 20 pounds can take from 500 to 1,000 mg. As a very rough guide, children can take 1,000 mg daily per year of life, up to about age five. If loose bowels ensue, the dose can be cut back, and greater effort should be made to acquire a quality liposome-encapsulated preparation of vitamin C. A similar approach applies to older individuals before something like the flu shot. Levy, T., (2002) Curing the Incurable. 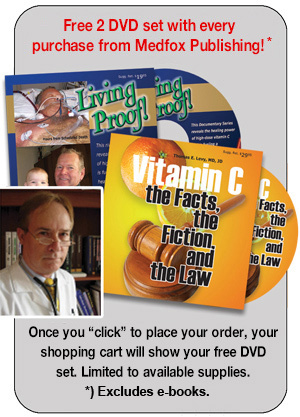 Vitamin C, Infectious Diseases, and Toxins. Henderson, NV: MedFox Publishing, LLC.